Nouvelle, Inc., a leading provider of post-surgical compression wear, introduces its Summer Bra Collection. 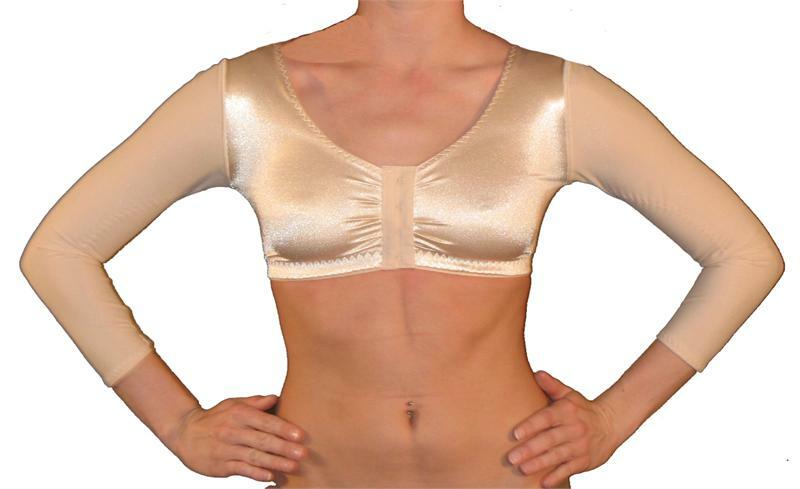 Designed for maximum comfort, the garments offer flexible and versatile healing garments to help protect and stabilize breasts following surgical procedures such as breast reduction (reduction mammaplasty), breast lift (mastopexy), breast implants (augmentation mammaplasty), mastectomy, and breast reconstruction following mastectomy. The Comfort Bra feels as good as it looks. Delicately woven fabric ensures complete comfort and compression for healing skin following breast procedures. Great for everyday use. The Style 35 cotton bra features front and shoulder Velcro closures. Opens totally for ease of application. Can be used following any breast, chest or general thoracic surgical procedure. The Bra Band provides enhanced stabilization for breast implants and other procedures. Convenient hook-and-eye closure. The Augmentation Bra provides firm, yet gentle contouring for proper support following breast reduction or augmentation. Molded cups retain original shape with proper laundering. The Augmentation Bra with Ice Packs offers complete medical-grade compression and support for the breasts. Nouvelle's Bra with Sleeves provides perfect, silky smooth comfort during healing of multiple procedures.